Formulated to deodorize wool, cashmere, and other like fine natural materials with its antibacterial properties. 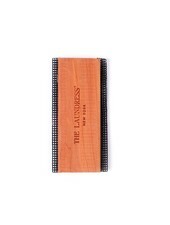 It features a lovely sandalwood, orange, rose, and cedar. 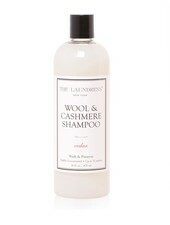 This gentle detergent has a pH that was selected to care for the natural fibers in wool, cashmere, merino, mohair and other like materials. 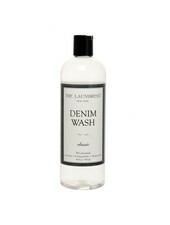 It not only cleans, but it deodorizes, removes dirt and oil, and preserves the soft feel of your garment. 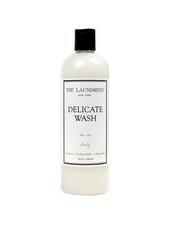 The delicate wash is designed to care for your favorite pieces, from silk blouses to thin scarves. The formula preserves material while removing sweat, oil and stains. It features a lovely scent of herbal, citrus, rich amber, bergamot, lavender and musk. This sweater comb removes pills from sweaters, knitwear, and other types of clothing with the metal screens.